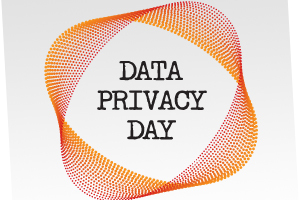 January 28 is Data Privacy Day, which honors Convention 108, an international treaty signed on January 28, 1981 which deals with privacy and data protection. In honor of our continued conversation about data privacy, we are sharing a professional perspective on engineering privacy – The Privacy Engineer’s Manifesto: Getting from Policy to Code to QA to Value. The book offers insight on translating the guiding light of OECD Privacy Guidelines, the Fair Information Practice Principles (FIPPs), Generally Accepted Privacy Principles (GAPP) and Privacy by Design (PbD) into concrete concepts that organizations, software/hardware engineers, and system administrators/owners can understand and apply throughout the product or process life cycle—regardless of development methodology—from inception to retirement, including data deletion and destruction. In addition to providing practical methods to applying privacy engineering methodologies, the authors detail how to prepare and organize an enterprise or organization to support and manage products, process, systems, and applications that require personal information. The authors also address how to think about and assign value to the personal information assets being protected. Finally, the team of experts offers thoughts about the information revolution that has only just begun, and how we can live in a world of sensors and trillions of data points without losing our ethics or value(s)…and even have a little fun. 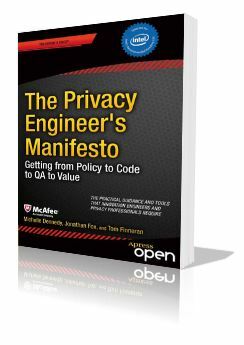 To download your free copy of The Privacy Engineer’s Manifesto: Getting from Policy to Code to QA to Value, visit APress.com. For more free eBooks, check out our 10 Websites to Download Free eBooks list, as well as our Free eBook of the Day archive. If you’re looking to learn more about Data Privacy Day, visit StaySafeOnline.com, where you can register for a January 30 webinar hosted by EDUCAUSE and privacy expert Ellis Smith.